The world called.... it needs your love letters. — hannah brencher. I decided to stop writing love letters on a Monday and a reporter from the Wall Street Journal called me on Tuesday to talk about... you guessed it: Love Letters. That’s how it always works though, right? We’re sitting before a pile of love letter requests from across the country, tapping a pen against a slab of stationery while simultaneously plucking syllables from the sky for a girl in Toledo who needs a lesson in Loving Yourself 101 when Divine Intervention cracks the back of our chairs like a whip. We sit up straighter. We pay attention the message we are getting. Seamstress in the Sky: Excuse me? Me: You heard me, Maker of the Universe and all the Cows and Zebras. Done. 400 love letters, finish up this pile, and I am done. Seamstress in the Sky: Yes. Me: Callouses the size of Kentucky. Me: I need to focus on other things, I want to write books! I cannot write books if I am only writing love letters! Seamstress in the Sky: Hm…. Me: Could you say a little more? I am drowning in my own pool of snot and ink right now. Seamstress in the Sky: Who do you thinks a love letter right now? Seamstress in the Sky: Beyond that... yo Daddy is no fool. You know who needs one, just say it. Seamstress in the Sky: Conviction... say it stronger. Me: Ok, ME! There I said it, I need a love letter... I need to learn how to write myself a love letter... I can hide behind another 100 or I can be a little selfish, sit down and learn how to write my own life into a love letter. But, you don't get it God, it is not so easy to just drop it, people need it. People have always needed these letters. Seamstress in the Sky: Well, I gave you a recipe… didn’t I? Seamstress in the Sky: Yes, a recipe. 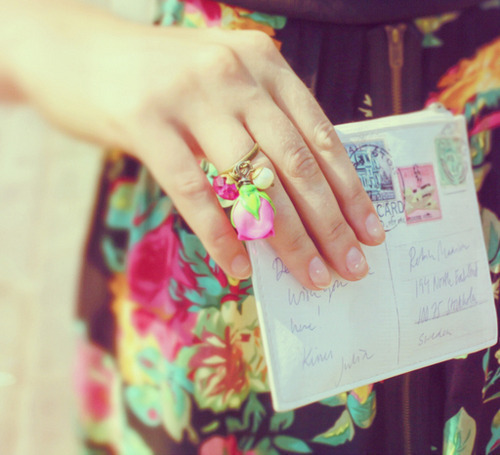 You, leaving love letters on the trains in New York City and mailing them all over the world. A recipe if I’ve ever seen one. Me: Love letters to those who need them? That’s a recipe? Seamstress in the Sky: What did you put into the love letters? Seamstress in the Sky: Seems like a solid recipe. Could others follow it? Me: Well.. yea, of course. Seamstress in the Sky: Then post the recipe somewhere, you love those domain names of yours. And see if people use it… If it is a good recipe, honest and true, other people will use it. Don’t worry about who or how, just cross your T’s and dot your I’s. Leave the recipe and step away. And so here I am, crossing my t’s and dotting my i’s and finishing up my own pile of love letters and then passing the work on to you. Many of you have asked me how to get involved, how to leave your own love letters, how to be there for someone in need. It’s simple, really so simple, and all it requires is an honest and true passion to help another person, someone you might never meet, along with a stamp and your very best cursive. So please check out MoreLoveLetters.com, or follow us here; I created the site to be a guide for those looking to do what I did for the last nine months. I can so honestly say that is an art that will fuel you, inspire you, fill you and turn you into a very bright spot that the world needs so desperately right now. And if you do nothing with the site today, nothing at all but this, please consider signing up for the Love Letter Email Alert List… Each month we will send out a call for love letters and then bundle and give them to a person who needs it most that month. The first call for love letters will come out this weekend and so I would love to have you involved. Please send all love letters to PO Box 2061, North Haven, CT 06473 with one additional stamp (the gods of postage have not blessed me just yet). I can promise you that your love letter will be mailed out to someone in need today. Darling, you are not another to me: received your questions, please see answers attached. This is my Calcutta. Go. Find. Yours.